any has been on social media teasing their new smartphone with the tagline, “See More”, definitely referring to the new display. In case you’re from the stone age, most phones have a 16:9 aspect ratio display bordered by significant bezels, the new 18:9 aspect ratio means the phone’s display is slightly longer than usual and this has been achieved by killing the bezels around the phone. Thus, generally, 18:9 displays mean the phone will have a larger display and a smaller body. Android 7.0 with HiOS 2.0 on top. Interestingly, the device was launched in India as the Camon i; the only difference being, in India, it has 3GB RAM and 32GB internal storage. Nigeria is set to get the phone (Camon CM) sometime this week while here in Nigeria, we are yet to get any word on the availability, all we know is that is launches this January and will probably cost around N45,000 if the Nigerian price is to go by. The Camon CM will set precedence for what we should expect from TECNO smartphones this year. 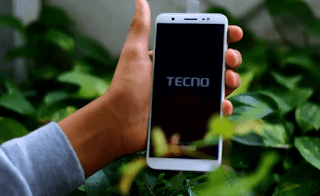 However, the CM is just a special edition smartphone that is meant to show that they (TECNO) too can make 18:9 display phones, the main Camon smartphone for this year will be launching later on and I hear it is a beauty to look at.